Rugby is a contact sport and injuries are, to some extent, expected to happen. However, sometimes, players are injured as a result of the actions or negligence of someone else. If you or a family member have become injured on the rugby pitch, you may be entitled to claim compensation. The expert solicitors at Jefferies are on-hand to advise you. Call us today on 0800 342 3206 or contact our team online to request a call-back. Rugby players can sustain a variety of different injuries. These range from head injuries or concussion to minor bruising or sprains and strains. Shoulder, neck and limb injuries are also common. As rugby is a high contact sport involving frequent body impacts and therefore a risk of accidental head impacts, rugby players at all levels are at risk of concussion. Within English rugby union, concussion is the most common injury sustained. Anyone who has sustained a blow to the head on the rugby pitch should be carefully monitored and receive medical treatment if they display any of the symptoms listed above. Players who have not been treated properly or have returned to rugby too early after their injury could suffer long-term concussion-related brain injuries as a result. In these cases, it may be possible to make a claim for compensation. The majority of rugby injuries occur as a result of the nature of the game, with players playing within the rules. In these cases, it is not usually possible to claim compensation. However, if a player’s behaviour falls outside of that permitted by the rules of the game, and this causes another player to become injured, it may be possible to take legal action. If you or a loved have been injured in these circumstances, you should speak to an experienced personal injury solicitor. They will be able to advise whether you can bring a claim for compensation. 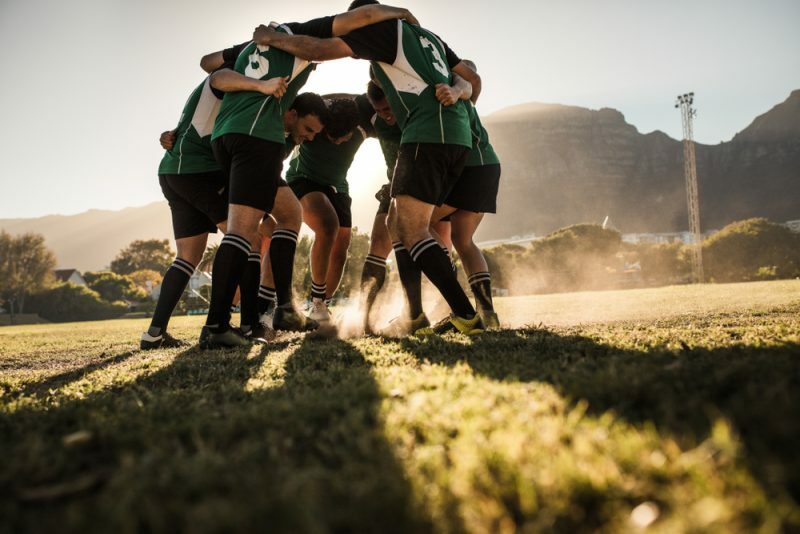 Rugby is a common sport played in schools and injuries are not uncommon. However, if your child has become injured, there are only certain situations in which it will be possible to claim. For instance, if they were playing on an artificial pitch that had not been properly maintained and this causes them to fall and become injured during a game, this is an example of negligence and you may be able to claim. In addition, P.E teachers and rugby coaches should be trained to avoid injuries occurring. They should supervise children to ensure no one is playing dangerously. If a teacher allows dangerous play to continue, they are inviting an accident to happen. The age of the injured child is also important. Younger children are less aware of the risks of their actions, so they should be more closely supervised. If your child has become injured on the rugby pitch, you should speak to a solicitor who will be able to advise you on your potential claim. Rugby players sustain very serious head or spinal injuries that have a devastating effect on their careers and everyday lives. In these cases, bringing a personal injury claim against the individual or body responsible can help relieve the financial burden associated with such an injury. This is particularly true if the individual has been left unable to work or play professionally. A successful claim can also help to cover the cost of specialist rehabilitation or support to help aid recovery. If you decide to make a rugby injury claim, you will be able to claim not only for the pain and suffering associated with the injury itself. However, you may also be able to recover the cost of expenses, such as loss of earnings, care and medical treatment. Over the last 25 years, our solicitors have helped countless individuals claim compensation following accident or injury. Our team are ready to advise you on your potential rugby injury claim. Get in touch today on 0800 342 3206 or contact us via this website.